Fall may have just started for the rest of you, but here in Montréal, if you blink it could turn to winter. 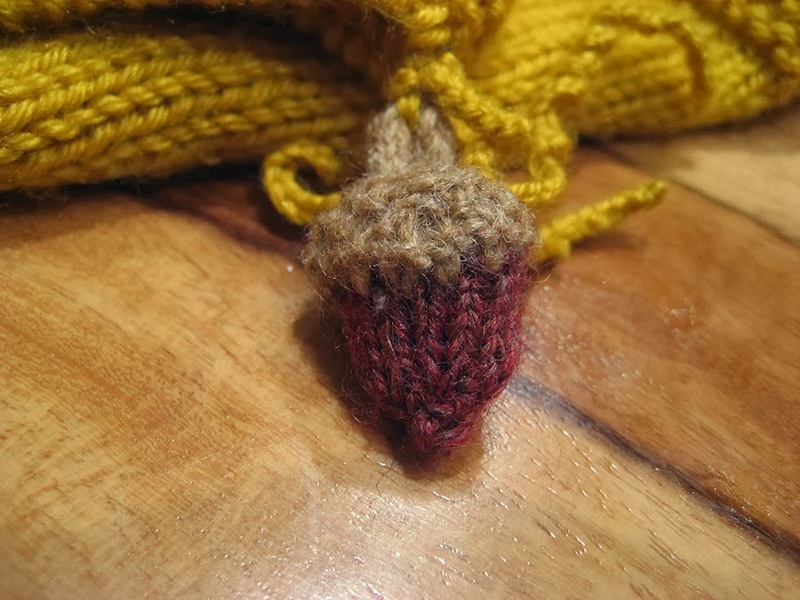 I must be quick and give you my Teeny Tiny Acorn pattern before a snowflake falls on my nose! 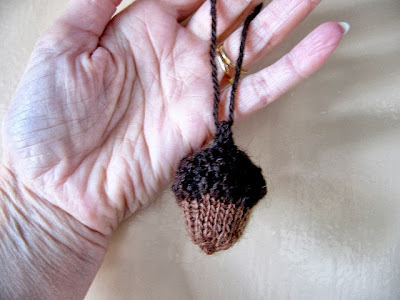 Here, I absolutely must acknowledge Susan and her pattern for the framework of Teeny Tiny Acorn, which is really just a miniaturized version. 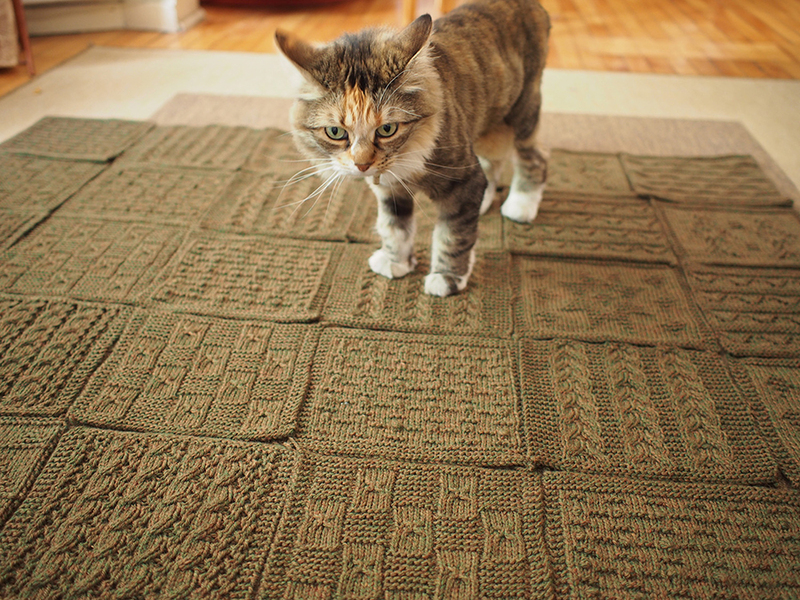 You may be wondering about this stunning cardigan pattern. 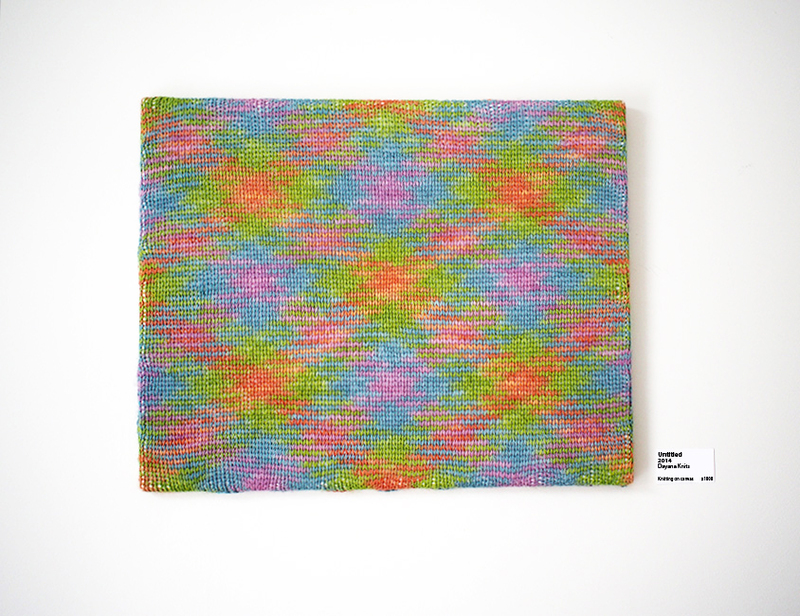 It is designed by Amy Jansen and comes in two weights, sport and DK. 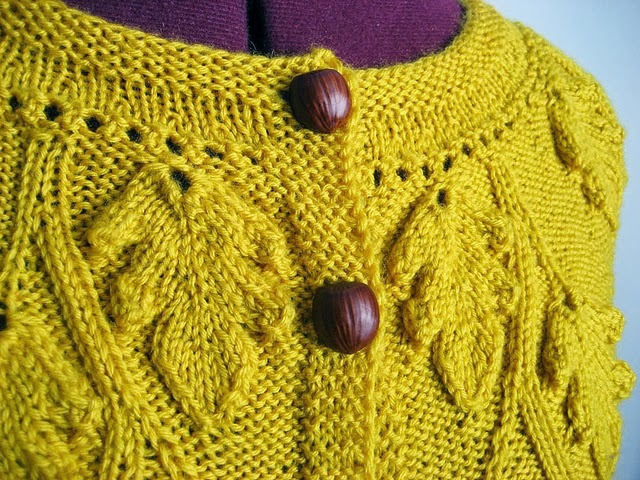 I'd like to say that I did this cardigan in Rowan yarn, if only because I REALLY DID... for a moment. 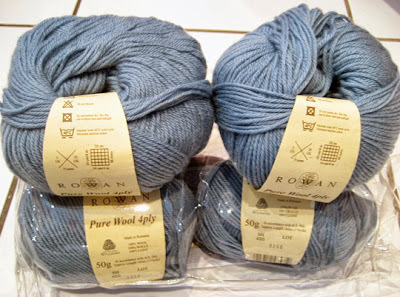 I used an old free Rowan subscription gift with a lovely blue shade of Rowan Pure Wool 4-ply and got through the yoke... until I left the bag hanging in a bathroom stall at the Amsterdam airport. No one ever returned it either, arghhh! 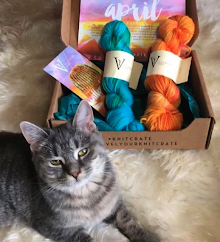 The bag had two extra balls of yarn, too, so I couldn't start over. I licked my wounds with a shopping spree at the Geneva grocery store (the other part of the binge is detailed here), and am so happy with the yarn. 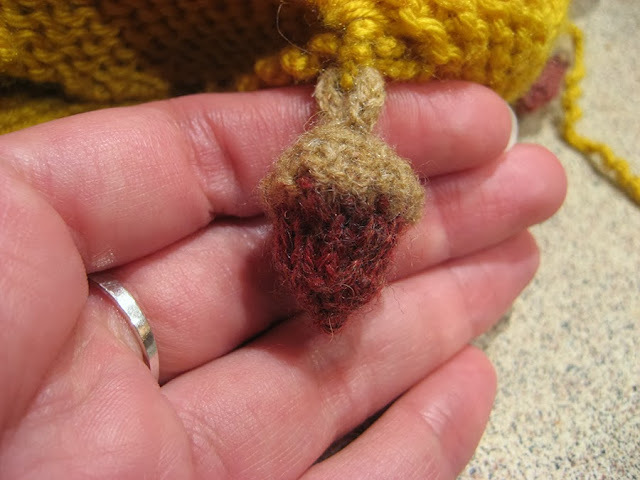 It is soft, barely pills, the color is absolutely perfect for fall, and the stitch definition is incredible! Too bad you can't order this stuff online. I'll just have to go back to Switzerland. What a terrible life! 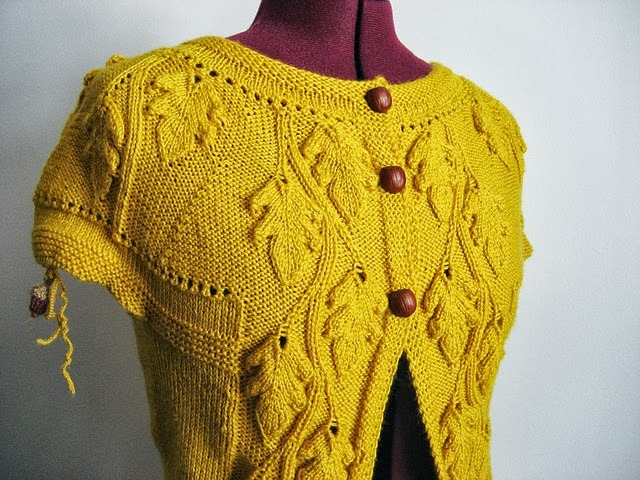 Love that cheery yellow, and the stitch definition is amazing! Katinka, thanks! I would love to use these leaves to make a pullover. A short sleeve cardi is a bit useless, I need something better! This is just gorgeous. Such a shame you left your blue version in an airport but I think this colour is even better. Love your teeny acorn too! That sweater is amazing! 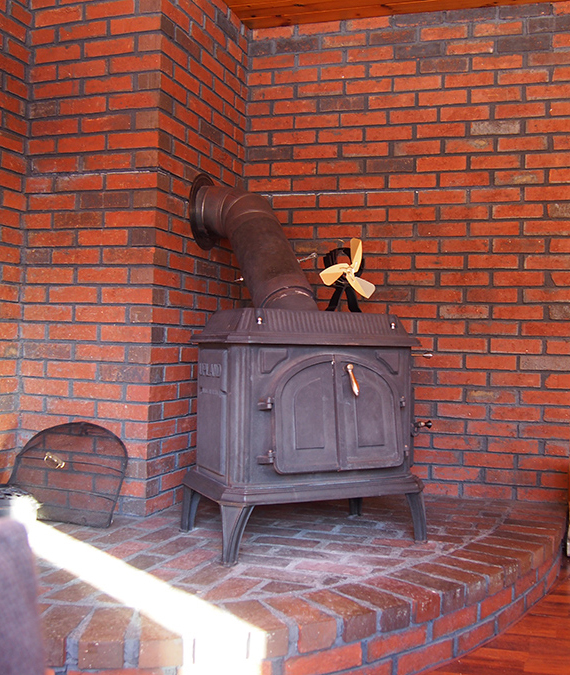 And the acorns are just a perfect finishing touch. I felt so sorry for you when I read you lost the blue version of your cardi. 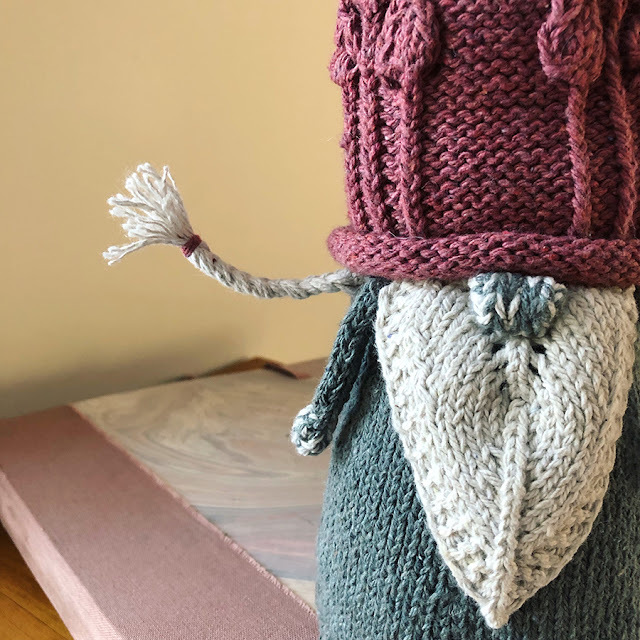 One can only hope the rotten person, knitted it up and is enjoying it's beauty. I do love it in the gold colour though, and as always you have knitted it so beautifully. Thank you Hazel! It was really tough to lose it... I called the airport every day and visited the lost and found on my way back out of Amsterdam. I think they didn't turn it in because I also had a small leather pouch full of notions that was quite nice, and they probably wanted it. Grrrr. So well knitted and fits well too. You use colours I only admire! Cute acorns.